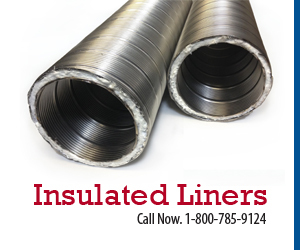 Chimney Liner Pro LLC is the web's best place for Chimney Liners, Chimney Caps, Chimney Insulation, and Chimney Supplies. Shop where the pros shop! We are an American company that has been in business for many years and realize people need, and want, a top quality product at a fair price. If you are a true "do it yourself" person you know what you want and we have it. The principles of Chimney Liner Pro are former professional chimney sweeps. We have worked with many home owners in the field to review and help them maintain a safe and efficient chimney. We have the experience you and your chimney can rely on. We pride our success on our direct relationship with each manufacturer we deal with, the shipping companies and the end user, you! 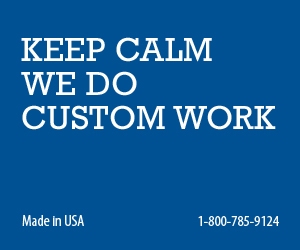 The premium relationships we have with the manufacturers from all regions of the United States provides us with a "top priority" status which allows us to get you the best products in the most efficient and timely manner. We have handpicked a U.S. 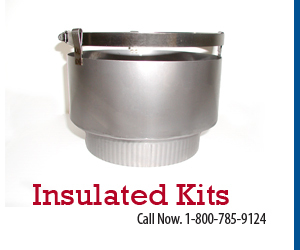 Manufacturer for every product we sell, including top-quality Stainless Steel Chimney Liners, Stainless Steel Chimney Caps, Chase Covers, Chimney Fans, and the most popular chimney repair products on the market. We are proud to sell the M-Flex brand of Chimney Liners. All Chimney Liners have a lifetime warranty backed by the manufacturer and are UL Listed. Thank you for visiting Chimney Liner Pro. If you have any questions please call us at 1-800-785-9124.